> I need your help and I need your prayers. > I was having problems in life. > I would ask you to pray for me, so I was given the wisdom and way out of problems in life. 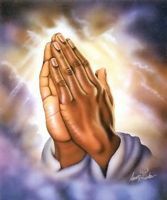 > I also want to ask you to pray for me, that God would bless my work and my life with abundance. I want to be a blessing to many people. > I also ask you to pray for me, so I was given a life partner who can be a helper. Women who have a heart gentle, motherly character, descendants of Chinese and career woman that I want to be a life partner. > I beg you, please pray for me. I believe miracle from God. I believe, for God nothing is impossible. Hello! I believe that only pray is the solution for everything. When person pray he/she speak with the voice inside and find the solution for all of a questions. Thanks for this valuable post. I am hoping the same best work from you in future. If you need any paper assistance - professionals at custom-paper-writing.org ready to help you 24/7! Hey! Tommy, I don't know what the problem for your life but I pray for you.If you have any academic problems in your life so I refer you to this site Academic writers really they are very helpful for you any academic issues. Tommy, It is good to ask for prayers. There are so many people that have problems and their problems has been resolved by the many prayers of the people and I hope it will be good for you too. essay services are good for the people in their writing and if students are having problems with their education it is the best for them.